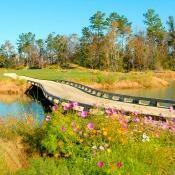 The CFN MGA opening event is March 9th, with tee times starting at 8:30 a.m. Seasonal play continues on Wednesdays through November 16th. Membership is open to any male (regardless of golf ability), who is at least 21 years of age, who is a property owner or resident in Brunswick Forest, or who holds a CF Player Card or is a CFN Member. MGA activities typically include weekly golf, opening day appetizers and drinks, keg days during the year, prizes for various contests held during the year (such as closest-to-the-pin) and the annual year-end banquet. The MGA annual membership fee is $40. Please contact Keith Blankenbicker or the CFN Pro Shop for more info/membership application.